As I started to visit Iran, I started to meet Iranian craftsmen – often high up on rudimentary scaffolding. I also started to realise how little is understood about their impressive skills and knowledge. With many master craftmen (ustads) relatively old, and relatively few young men now wanting to undergo the lengthy, often dirty, and sometimes dangerous training, these unique craft-skills are now in danger of dying out. 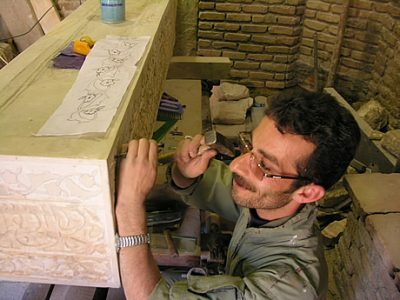 I want to try to give a glimpse here into some of the crafts and master craftsmen of Iran. 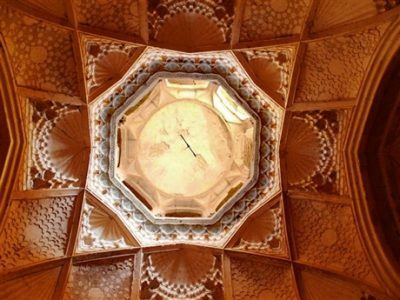 I’ve focused here on the fabulous geometrically crafted muqarnas (or stalactite vaulting); on wall-painting and woodcarving; on brick-making and stone-carving; as well as on some of the many types of ceramic tiles used on Iranian buildings. 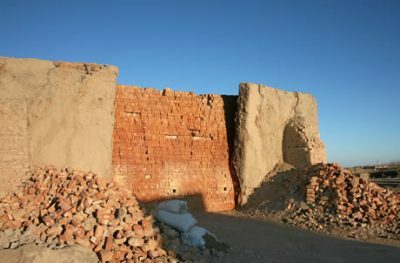 This stunning tour-de force of Timurid wallpainting is in NE Iran. 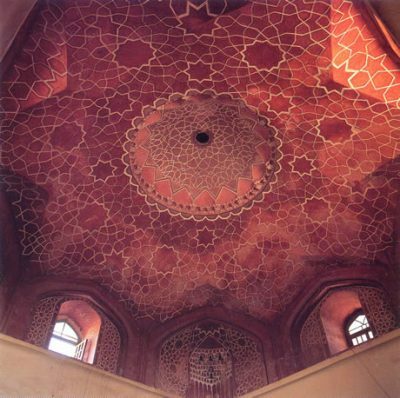 The eight-pointed star ‘floating’ on the ceiling is covered with interlaced 5, 6 and 8-pointed stars, and there is a perfect 16-pointed star in the small central dome.